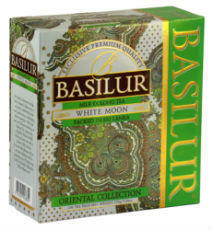 Basilur White Moon is a Milk Oolong green tea which comes from an ancient Chinese tradition of Oolong Tea. 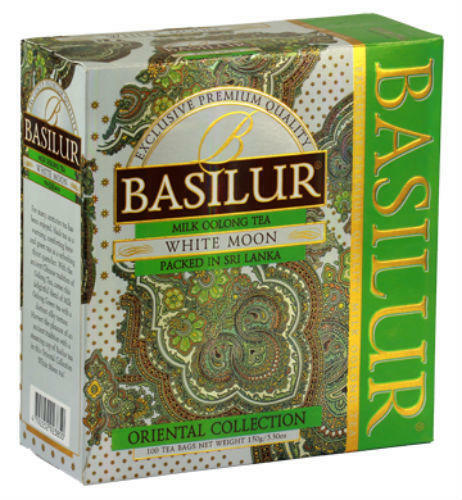 A tea which will invigorate your mind and soul while calming your senses, providing a distinct milky taste together with the smoky taste of Oolong tea. This is a unique tea that is part of the story of Chinese traditions and culture. Once brewed it has a sweet milky taste and a smoky aroma. Chinese Milk Oolong Green long leaf tea.